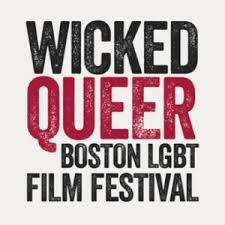 We are now approaching the finale of the Wicked Queer Boston LGBT Film Festival, with offerings at various locations. A poet in his late 30s, who has spent all his life in Jeju Island, lives off his sturdy wife. Despite his wife’s constant nagging about his inability as a breadwinner, all he does is thinking about and writing poetry. One day, the poet meets a teenage boy working at a donut shop and helplessly develops feelings he has never had before. HOLY COW! Now THAT’S a busy festival day! And the choices are going to be hard! For complete information on the festival and it’s upcoming offerings, be sure to visit the official website at http://wickedqueer.org. We have attended selections at this festival several times over the past several years, and every film we’ve seen there has been a true gem; Wicked Queer always finds the best programming possible! Tomorrow is the final day (yes, we know tonight is closing night…that’s because all of the fare is in the afternoon tomorrow, silly!) and your LAST CHANCE to catch some phenomenal entertainment – be sure to be here Sunday morning for the rundown! Running through April 8, you can catch screenings at various locations around the Hub, including the MFA, the Arts/Emerson Paramount Theater, both in Boston, and at the Brattle Theatre in Cambridge. And we’ll have daily schedule and ticket info right here. 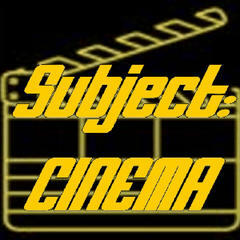 Be sure to stay informed by keeping your browser on eCinemaBoston for complete schedule and ticket info! And don’t forget, Wicked Queer Boston LGBT Film Festival will be part of our sister podcast Subject:CINEMA‘s massive BSAF coverage throughout the month of May, and also in our huge BSAF SuperGuide PDF online magazine, also coming in mid-May!